Firefox is a great browsers for many reasons, but one of the most important reasons is how it can be customized. Mozilla has worked hard to ensure the latest versions provide options and features you won’t find without add-ons in other browsers. By making these available by default all users can have the same access without the hassle of installing extensions that may cause compatibility or security concerns. Here are a few important tricks that prove you should be using Firefox. Okay, let’s start with the elephant in the room. Firefox 29, released in late April of 2014, introduced the new, revamped “Auralis” interface Firefox Beta 29 Features Customizable Auralis Redesign, Encrypted Sync Firefox Beta 29 Features Customizable Auralis Redesign, Encrypted Sync Firefox 29 Beta has a whole new, simplistic design and comes with an easier and more secure sync service. The new look brings the Auralis design style, which Mozilla claims is simpler and easier to... Read More to make customization easier. The most prominent change is the new icon-driven main menu that’s fully customizable. Accessing the feature is very easy. Just open the main menu and then hit the “customize” link at the bottom. This opens a full window customization view where you can add or remove menu items by dragging them to and from the “Additional Tools and Features” field. Almost everything you see can be changed including very basic features like New Window and the zoom function. You’re not just limited to adding or removing features. The order of the menu itself can be customized, so you can move features that you use frequently to a part of the menu you find more accessible. Customization isn’t limited to the main menu. You can also change the search bar field Turn Any Site's Search Box Into A Firefox Search Engine Turn Any Site's Search Box Into A Firefox Search Engine Do you visit your favorite websites several times a day to search their archives? Speed that process up. Read More and bookmarks bar field by adding and removing items. Let’s say, for example, that you don’t like the Google search field and just want to see the Awesome Bar. No problem! Just click it and drag it out of the search bar area and into the “Additional Tools and Features” field. Do you want your Home page to be in the bookmarks field? Just drag it there. You can also remove features from any of the menus or toolbars by right-clicking them and hitting “Remove from Toolbar.” The only features you cannot remove are the Awesome Bar and the icon which provides access to the main menu. The Awesome Bar is the primary search field within Firefox (formerly called location bar, and sometimes still referred to by that name). One way to change what appears is to know and use keyboard shortcuts which customize Awesome Bar’s behavior. Here’s the current list. @ to search in web addresses (URLs). Let’s say you want to search for MakeUseOf within your bookmarks and only your bookmarks. To do that you would enter “makeuseof *” in the Awesome Bar. Note the space between the * symbol and what you’re searching for. This is important; the feature won’t work if the space is not included. You can chain these together for even more precise results. Entering “makeuseof * android #” would show you only MakeUseOf bookmarks with Android in the title, for example. Awesome Bar is great, but it can be a privacy issue as well. Results are cataloged automatically and available for later use. Clearing history is an obvious solution, but maybe you don’t want to clear all of it. The fix is easy. Any result that appears in the Awesome Bar can be highlighted by tapping the up/down arrow keys. Once highlighted just tap the delete key to remove the result from appearing in Awesome Bar. Note that this only works with your history. If you try this with bookmarks they will disappear from the open Awesome Bar field but will re-appear when you search a second time. You can also exercise broader control by opening the Options menu and selecting Privacy. At the bottom is a location bar control drop-down menu. This menu lets you entirely exclude history items, bookmarks or both from Awesome Bar results without deleting either. A third way to control the Awesome Bar is through tags, a recently introduced feature that largely supersedes the keywords of old. Tags can be added to any bookmarked page when you have it open by clicking on the blue bookmark star in the toolbar (assuming you have not removed it, of course). This will open a field that shows, among other things, the tags. No tags are assigned by default. Tags appear in the Show All Bookmarks window Everything You Need to Know About Managing Your Firefox Bookmarks Everything You Need to Know About Managing Your Firefox Bookmarks I don’t know about you, but I still use browser bookmarks on a daily basis. 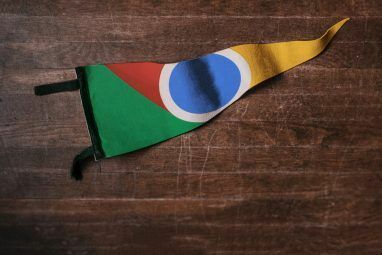 There are people out there who claim that browser bookmarks have become obsolete with the advent of online bookmarking, social... Read More and are great for categorizing information, but that’s not their only feature. Tags also impact how items appear in the Awesome Bar. Let’s say your planning a big dinner for your family and want quick access to recipes you’ll be using. Just bookmark them and tag them as “family dinner” and they’ll appear every time you search for that term. You can dig even deeper into result customization with keywords. At first glance a keyword does the same thing as a tag; it changes what appears in the Awesome Bar. Keywords are separate, however, and don’t change how tags appear up in Show All Bookmarks. You can access keywords by selecting a bookmark in the Show All Bookmarks window and then hitting the “More” arrow at the bottom. You can also access keywords by right-clicking an item in the bookmark bar and selecting Properties. Let’s go back to the family dinner example. You could plan more precisely by setting each individual recipe a more specific keyword like “entree” or “desert.” This means all your recipes would appear under the same tag but, if you want only more specific result, you can type in the keyword instead. Obsessive organizers can use tags and keywords together to create very elaborate customized search results in the Awesome Bar. While you can use a proxy alongside any browser, Firefox is unique in that it lets you enter proxy settings for your browser only. Other browsers require that you change proxy settings in your Internet Options, which means you don’t have as much control over what goes through a proxy and what doesn’t. You’ll find the proxy settings by opening Options going to the Advanced settings and then hitting the Network tab. Hit the “Settings” button to open proxy controls. There are four options ranging from no proxy to settings manually entered into Firefox. You can also set up a proxy by pointing Firefox to the URL of a .pac configuration file. 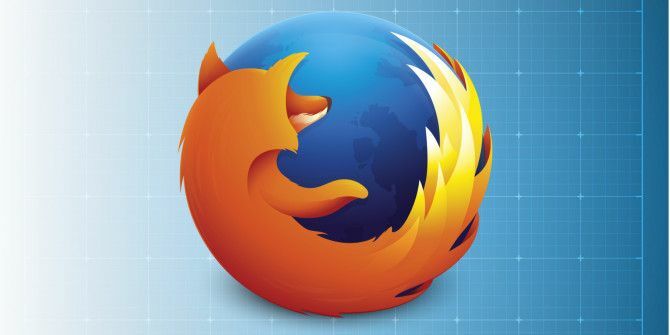 These six tricks prove that Firefox is the go-to browser for power users. 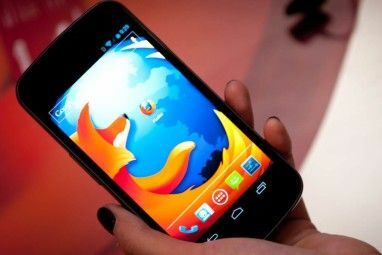 With Mozilla’s browser you have far more control over your menus, toolbars and configuration of advanced search options. Do you know a useful way to customize Firefox that you use every day? Tell us about it in the comments below. Explore more about: Browser Extensions, Browsing History, Mozilla Firefox, Proxy. Mouse Gestures (FireGestures, et al)! Also Tab Mix Plus. Both are essential. B - Updating Extensions Message Freezes - You Do Not Know If It Started, If It Is Working, Or If It Has Ended - You Know Nothing. 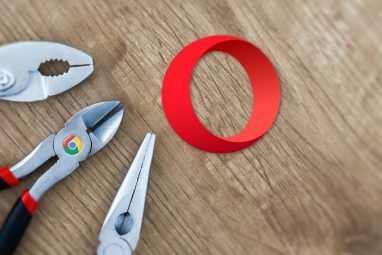 I Am Using OPERA 25. "...introduced the new, revamped 'Auralis' interface to ,,,"
Anyone know how to stop tabs from reloading when you click on them after doing a session restore. This is my pet hate as it never use to do this! Personally I think Firefox has been going down hill for quite some time now. But I keep using it because of the addon's I use and need. If it wasn't for these addon's I would have ditched it a long time ago! As far as I know, no other browser has a tool to install a private set of addons from its ecosystem in a one-shot install. Google Apps admins can kinda-sorta curate apps in the Chrome web store but 95% of end users will never look at that unless there's an IT person holding their hand and moving the mouse for them. Oops! My bad. Parallel downloading is not a customization trick. There's also nothing the slightest bit like DownThemAll for Chrome, not to mention all Chrome's extensions either leak memory like a sieve, or are ludicrously weak in comparison. (It takes 2 extensions - one for hours, one for minutes - to make a halfway decent digital clock for Chrome's toolbar! Chrome extensions are limited to a single icon - no text allowed, IIRC). Parallel Downloading! I switched to Chrome a long time ago but I still open Firefox regularly to use downthemall. Try Bottom UI add on. Thanks for explaining what the Awesome Bar is. I've used Firefox forever, but never really understood that. I'd suggest Classic Theme Restorer to get the UI back to a usable state. But I'm still trying to find the Print Preview icon, and the Downloads window. Are they still available, and just hidden somewhere? The icon for the Downloads window is a down-arrow which turns green while downloads are active (with a timer underneath); it should be in the Customize palette. You can also use CTRL+J to open it or bring it to the front. I don't know where the Print Preview button went; I'm using Classic Theme Restorer, and it's a in the Firefox -> Print fly-out menu. No, Tor is a proxy to browse hidden .onion websites; Firefox is the browser that's bundled with (and preconfigured for) the Tor network. Yeah. Oops... I meant the TorBrowser. Tor is based on Firefox. Chrome has no customization, even Internet Explorer is far more customizable. Thats why I love Firefox and IE. Download the "Classic Theme Restorer" extension if you want to revert to the classic Firefox theme or even customize it further. @bnjohanson Are you for real? no, you're not hilarious, but rather pathetic. Nope. He is a troll. MakeUseOf Moderator- You must allow me to acknowledge via reply, so please cease with striking my attempts out of fairness. Ray: I am for real; I also understand and empathize with your lacking wherewithal to provide anything resembling a substantive retort. Paul: 1 ) Did I insinuate anywhere in my aforementioned whether I was, "hilarious" or not, and how exactly was it you were able to extricate anything to do with Obama within my same aforementioned ? Since I am only able to resolve from your reply that you are stunningly defensive of Obama, I totally understand; voting for him once is an irreversibly humiliating act, but could be turned into a positive, "as a lesson learned". Voting for him twice however, as you clearly have, is going to be very difficult for you since this has only tattooed your life's resume with the confirmation that you are stunningly uninformed and hence your failure to understand why Firefox is a totally separate case than Internet Explorer and Chrome. This is per the obnoxious management moves they made a couple of years ago that caused an international backlash, followed by their continued loss of market share, and finally, them having to resort to ads in their browser as a desperate attempt to keep their company financially afloat. The awesome bar shortcuts are cool! Didn't know about them! Keywords with added %s (later replaced by a string) to a bookmark gives search access to almost any site directly from Awesome Bar. Try this, it's the fastest way to look up something specific online! For example I have a bookmark "http://oald8.oxfordlearnersdictionaries.com/dictionary/%s" and keyword "ox". Now all I have to type is "ox awesome" and Enter to read what this awesome means! "Remove Unwanted Awesome Bar Results" is also possible in Google Chrome. Instead of Delete you have to press Shift+Delete. And it works in the same fashion as Firefox.